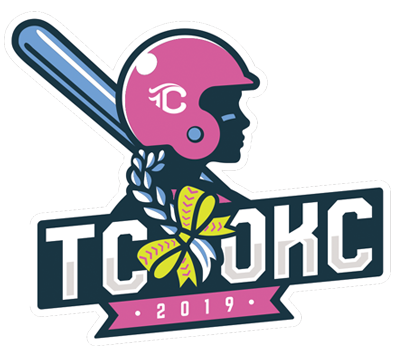 Thursday, May 30: Session 2 WCWS Games at 6 p.m. / 8:30 p.m.
Friday, May 31: Team check-in and player party is from 2-6 p.m. at Remington Park. There will be merchandise for sale, vendors, pin trading, photo booth, air brush tattoos, snacks, music and more. The entire team need not be present, but it is HIGHLY recommended to come participate with the vendors, buy your tournament shirts early, etc. If you purchased WCWS tickets through the TC website, this will be the ONLY opportunity to pick up your WCWS tickets. Tickets will not be mailed. NO TOURNAMENT GAMES PLAYED ON FRIDAY: Session 3 WCWS games at 6 p.m. / 8:30 p.m.
Saturday, June 1: Tournament games start at 8 a.m. Session 5 WCWS games at 6 p.m. / 8:30 p.m.
Sunday, June 2: Tournament games start at 8 a.m. WCWS games at 12 p.m. / 2 p.m. and “IF” games. Monday, June 3: ALL teams will play on Monday. Last games begin approximately at 4:45 p.m. Session 8 WCWS Championship Game #1, 6 p.m.